Make it a One of a Kind Christmas with these Unique Gifts! 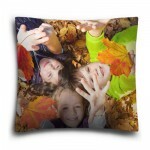 Home » Blog » Make it a One of a Kind Christmas with these Unique Gifts! As I sit on my porch swing thoughtfully pondering my Christmas gifts list, I notice the beautiful leaves that have begun falling from the trees. Each leaf is one-of-a-kind and unique, as are the snowflakes that will be falling soon. I begin to think about how truly unique each and every one of my gift recipients actually is. While it’s true, I could easily purchase simple neckties for all of the men on my list, buy the women matching handbags, and order generic dolls or action figures for the children I intend to buy for in order to quickly be done with my shopping altogether, somehow that idea just seems to “null and void” the whole meaning of Christmas. 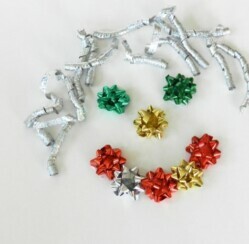 After all, the whole point of giving Christmas gifts is to demonstrate love and thoughtfulness, right? And what better way to do that than with unique Christmas gifts? After so many years of creatively selecting the “perfect unique Christmas gift” for every individual on my list, however, I notice that the temptation to make things more simple and a little bit less personal has become very strong. I refuse to give in! I hold tight to my beliefs and dig deep inside my creative soul. After hours of deep thought, I still seemed to come up empty-handed, so I decided to consult with an expert in gift-giving- Mrs. Claus. With her help, I have discovered some fascinating unique Christmas gifts that will have those sleigh bells jingling again in no time. Experience gifts are possibly the most perfect unique Christmas gifts available. You simply can’t duplicate an experience after all. With everything from hot air balloon rides to scuba diving to theater or concert tickets or even a day at the spa, there is likely an experience gift available for everyone on your list. Experience gifts work great when you hit that pre-Christmas time crunch as well, since the certificates can be printed right from your home computer. Gifts that keep giving make wonderful unique Christmas gifts for your loved ones, as well. Recipients receive the selection-of-the-month delivered right to their door each month, so your gift continues to remind them that you are thinking about them throughout the year. Choose from a variety of wines and beers, or fruits, pies and gourmet snack assortments that are available, and enjoy as your recipients delight in this unique gift. That hard-to-buy-for recipient on you list will love unique gifts like property ownership on mars or the moon, stock ownership in Twitter or another favorite company, or a signed piece of sports/celebrity memorabilia.Get personal this Christmas with customizable gifts that will be certain to bring a unique touch to Christmas morning. These days almost anything can be personalized, so you are certain to find something for everyone on your list in this category. While older children and teens will adore personalized iPod covers and accessories, t-shirts, photo blankets or pillows and throws, the younger crowd will likely enjoy personalized dolls, puzzles, stuffed animals and the like. Personalized name on rice jewelry, photo frames and wall decor, beer mugs and wine glasses, and even sports equipment make wonderful unique Christmas gifts for the grown-ups on your list. What’s the most unique gift you’ve given or received?